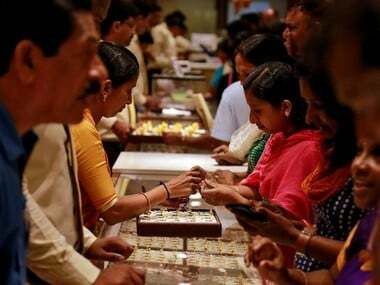 New Delhi: The duty-paid gold imports into India, the world's second-biggest buyer of the precious metal, declined by 31.56 per cent to 168 tonnes during the April-July period of this fiscal due to sluggish demand, according to gold and silver refiner MMTC-PAMP. The country had imported 245.5 tonnes of gold, comprising 158 tonnes of bullion and 87.5 tonnes of dore (gold containing raw material), in the same period during the 2017-18 fiscal. 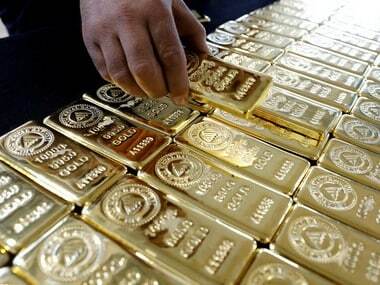 At present, the customs duty on bullion is 10 per cent, while dore attracts 9.35 per cent import duty. "Duty-paid gold imports comprise of bullion and dore form. The imports have declined as there has been shift in demand from gold to the stock market," MMTC-PAMP Managing Director Rajesh Khosla told PTI. Of 168 tonnes of gold imported during April-July period of this fiscal, bullion comprised 70 tonnes and dore 98 tonnes, he said. "The refiners are contributing a lot more to meet the gold requirement. Of 98 tonnes of dore, the MMTC-PAMP imported 48 tonnes and the rest 13 refiners bought 50 tonnes," he added. 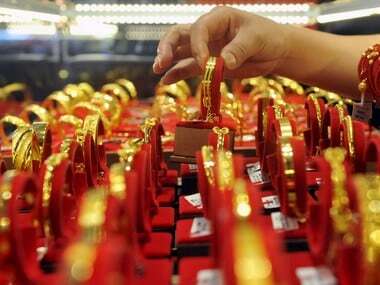 Khosla said the share of domestically refined gold has been increasing and imports of bullion are coming down. This means the gold refiners are generating value addition in the country, contributing to the Make in India programme. With regard to duty-free gold imports, Khosla said it is done for the purpose of re-export in the form of jewellery and on an average 170-200 tonnes of the metal is imported in a year. And through an unofficial channel, about 100-150 tonnes of gold is imported annually. The duty-paid gold imports impact the country as it generates revenue and bridge fiscal deficit. Whereas the imports coming in for re-export in the form of jewellery do not impact because they are foreign exchange neutral, he added. The MMTC-PAMP -- which is a JV between state-run MMTC and Switzerland's PAMP -- has an installed capacity to refine 200 tonnes of gold and 600 tonnes per annum. It has a capacity to mint 2.5 million pieces of gold and silver. In the entire 2017-18 fiscal, duty-paid gold imports were at 577 tonnes, including 350 tonnes of bullion and 227 tonnes of dore, Khosla added.